?Suit for all seasons, never out of style, also upgrade your feminine elegance. The good choice for Christmas gift, perfect for the person you love. Just enjoy the happiness of Christmas and all the trimmings? 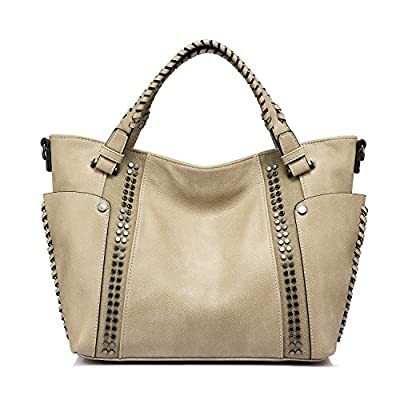 This multipurpose tote handbag can be great for shopping, dating, working, traveling and so on. It has a fully zippered top closure, super convenient to put into your phone, iPad, keys, various cards and some other carry-on items. And there are two side big slot pockets for additional storage. The bag is the best partner to carry in your daily life. 1. If it is stained with the dirt, using a damp cloth and gently wipe it off and dry it in the shade. 2. If you are not using it for a long time, put it away and in a cool and dry place.